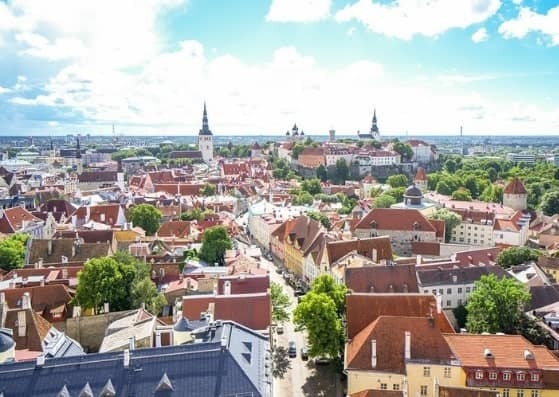 Bordering both Latvia and Russia, Estonia stands out from the crowd with its medieval cities, islands, and national parks. There are plenty of things to see and do – explore the castles, enjoy the buzzing nightlife, or, if you’re visiting during the summer months, spend time relaxing or exploring the many seaside resorts and beaches. There’s something for everyone in every corner of this beautiful Schengen country! In this article learn more about how to apply for Estonia visa at the Estonian consulate in NYC, New York, Spain visa appointment booking, Processing time at the Estonian visa application center, flight itinerary for Estonia visa, hotel bookings for Estonia visa, Schengen travel insurance for Estonian visa application, and Estonia Visa Application Process at the NYC consulate. If you are a national of any other country but are currently living in the US, you will need a visa to be able to enter Estonia. 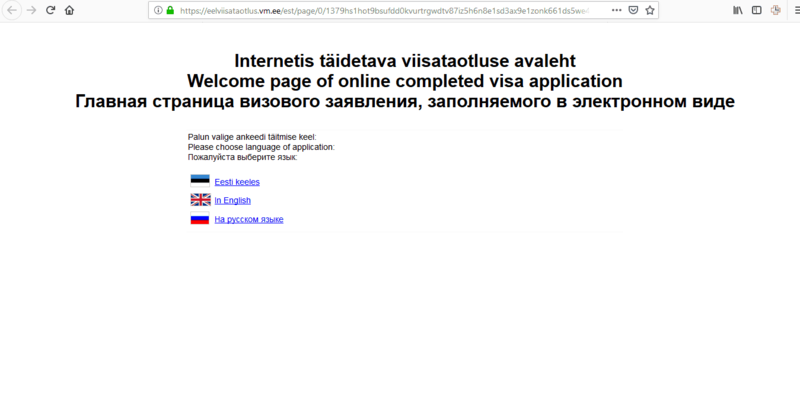 You have to make sure you apply at the right Estonian embassy and consulate. If you wish to go to Estonia ONLY OR your wish to travel to several Schengen states, but Estonia is the place where you will spend the most time OR Estonia is your first port of entry before traveling to any other Schengen country, you HAVE to apply at the Consulate General of Estonia in New York. 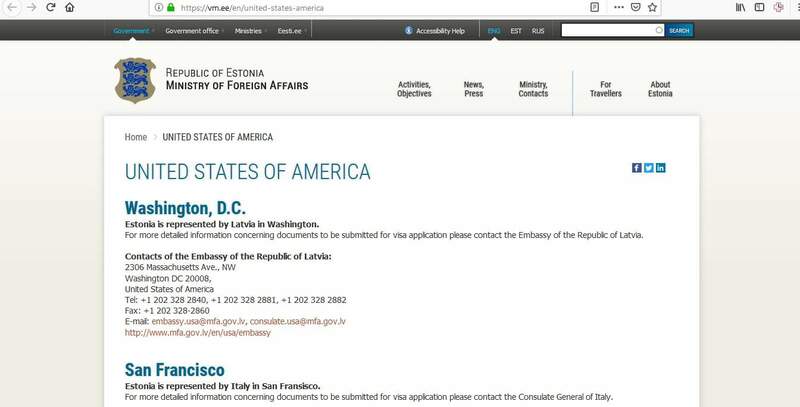 Short-term visas for Estonia can be issued by other member states in Washington DC, San Francisco, Los Angeles, Houston, Chicago, and Miami. 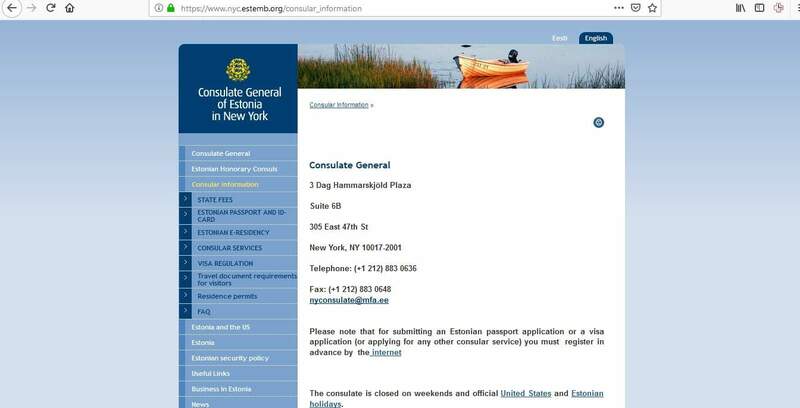 If you don’t live in the New York area, you can apply to any of these consulates. There were 138,249 Schengen visa applications received in 2017. Of these, 1.21% were rejected for different reasons. 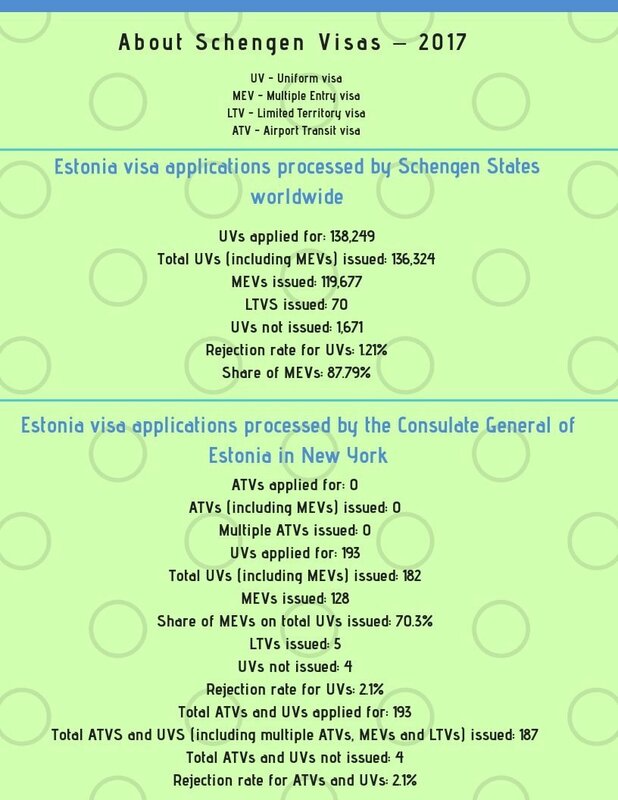 193 applications were received by the Consulate General of Estonia in NYC, New York and they rejected 4 of them. 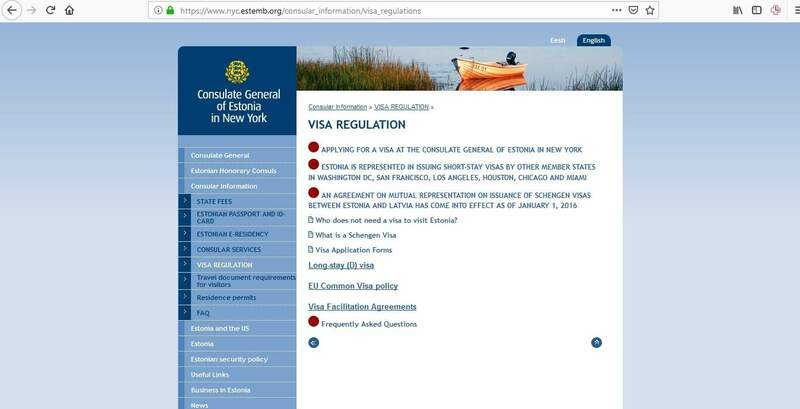 You have the option to apply for 1 of 2 types of visa for Estonia from the Consulate General of Estonia in New York. The one you need will be determined by how long you are planning to go for and why you want to visit Estonia. 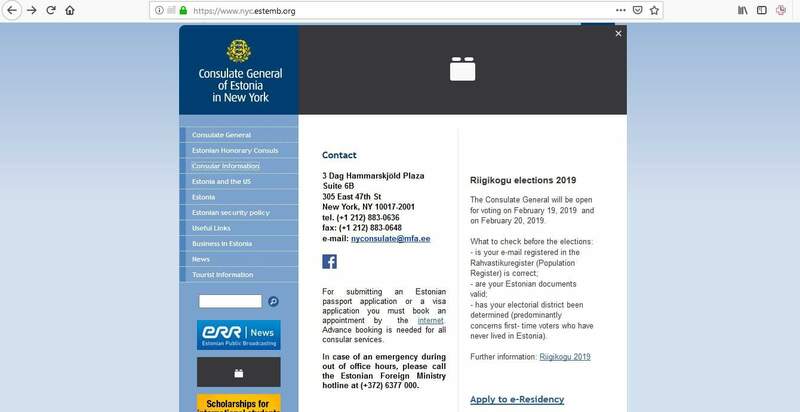 The consulate of Estonia in New York aims to process visa applications within 15 days, but it could take as many as 30 or 60 days. Applications are dealt with on a case-by-case basis, so it’s advisable to apply at least 15 days prior to your intended departure date. You can apply up to 3 months ahead of time, however, applications received earlier than 3 months won’t be accepted. When you are ready to apply for your Estonia visa, here is a series of steps that will assist you. 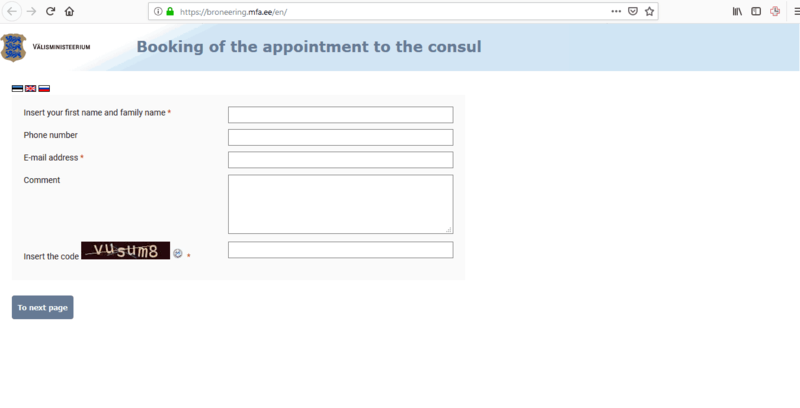 Enter the required information and continue through and you’ll be able to make a suitable day and time for your appointment. 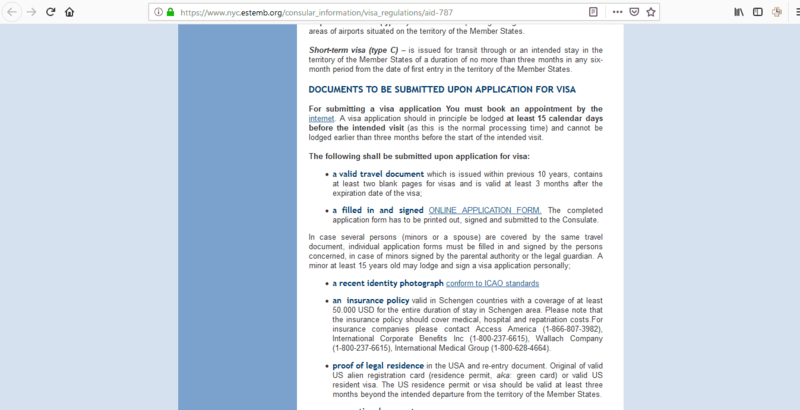 Please note, this online application form is suitable for short-stay visas only. If you are applying for a long-stay visa, you can download the application form and complete it manually. You need to know what documents are required for your type of visa, so before you begin to prepare your paperwork, take a look at the consulate’s website. If you submit your application with missing documents the consulate will reject your application and this is obviously not your objective. Please note, you need to submit photocopies as well are original documents, so don’t forget to do this as this will be seen as an incomplete application. When you go to the consulate to submit your application, remember to take all your documents with you. If you don’t, you may have to make a new appointment. In case the visa staff ask you to attend an interview, dress smartly as this helps to make a good impression. Lastly, arrive early. If you arrive late you will have to make a new appointment and this will delay your trip. What do you know about Estonia and the Schengen area? Why do you wish to go to Estonia? Why should I believe that you will leave before your visa expires? Are you planning on meeting anyone in Estonia? You will also pay the fee for your visa. You can pay by exact cash only. This fee is non-refundable even if your application gets rejected. If this is your first time applying for a Schengen visa, you will need to submit your biometric data which is a scan of your fingerprints and a digital photograph. 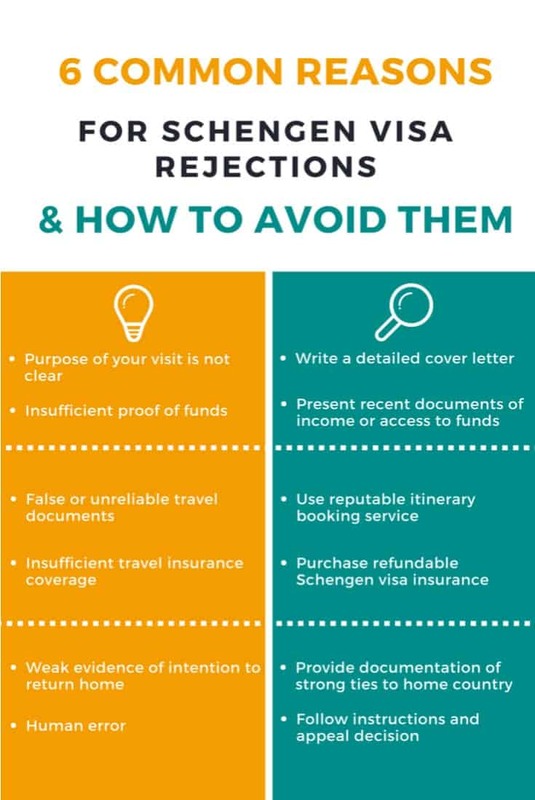 However, if you have previously received an approved Schengen visa within the last 5 years and your data can be retrieved from the Visa Information Service (VIS) your data can be reused. Your passport must be valid as per the regulations. If it isn’t, you must get a new one before applying for your visa. 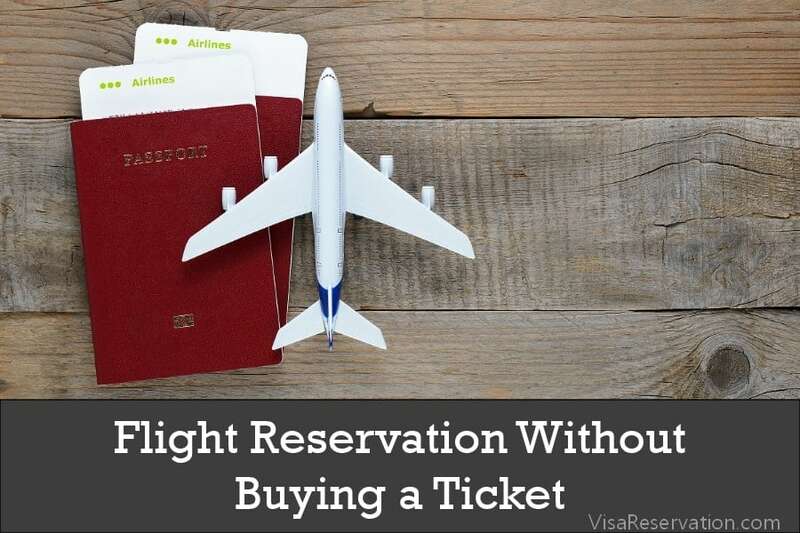 You must include all relevant documents, including proof of your reason for traveling to Estonia and proof that you can afford the trip. If these documents are not provided, the consulate cannot make a decision about your application. Most importantly, you must be able to show your intentions to leave Estonia before your visa expires. At the end of these steps, you can start to plan for your exciting holiday in Estonia!